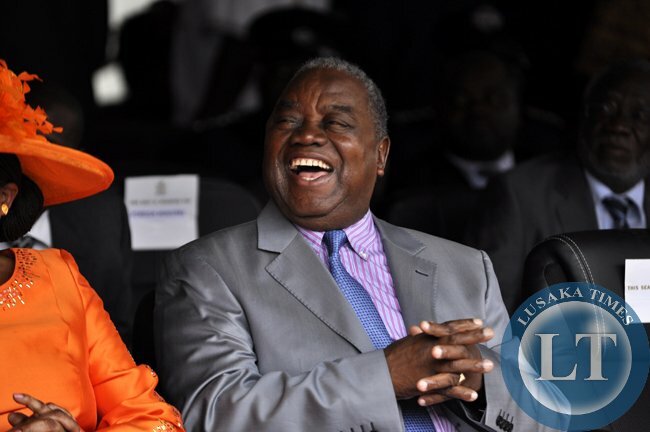 Former President Rupiah Banda says he plans to meet with the MMD President Nevers Mumba to find solutions that will bring harmony in the party. Mr Banda says when he returns from Uganda where he is leading a team of international observers for the forth coming elections in that country,he will meet with Dr Mumba to restore peace in the party. Mr Banda says calls by President Lungu for reconciliation in the nation and the MMD is justified because of the squabbles the party has been experiencing. He was speaking to the media shortly before he left for Uganda. The former head of state noted that he has not met with Dr Mumba as was reported in the media and cited that it is unfortunate that individuals want to sow confusion in the party. And the former head of state has urged Zambians to remain calm and civil ahead of the elections this year. He said it is important that peace prevails in the country regardless of different political party affiliations and ideologies. Meanwhile opposition MMD on the Copperbelt has called for unity of purpose in the former governing party. MMD Copperbelt spokesperson Peter Phiri said the continued squabbles among rival factions in the party are worrying. Mr Phiri is urging opposing groups in the party to bury their differences and unite. Mr Phiri has also taken a swipe at some leaders in the MMD whom he has accused of using money to bring about anarchy and confusion. Mr Phiri has told ZNBC News in a Press statement in Kitwe that MMD aspiring candidate and Lunte lawmaker Felix Mutati should sit down with Party Leader Nevers Mumba and resolve any differences. This THIEF has smelt the money!! Zambians, IF YOU REALLY LIKE WALLOWING in POVERTY, vote for the same riff raffs that you got rid of only five years ago – YOU WILL INDEED MAKE IT in the Guinness Book of World Records, as a country of dunderheads who never learn!! This man was almost pushed into extinction by Sata and the PF. Now, they really need him. RB – President for Zambians. Do you feel good that you have slandered a former President of Zambia? So was Nevers (Shimapepo) lying when h said he met and reconciled with RB in last year? Habitual monkeys citing a different forest this time round. These long time foes wish to seek a new realignment for convinience purpose. Well, I can only say work on it and see if it will help you Sir. The game is about numbers and trust from the people. Good luck Mr President. ZNBC only covers the opposition when it involves negatives! This reconciliation is shat will permanently kill HH’S political ambition. Thank you MMD. Just the way they together defeated the UPND in Parliament, it will be repeated outside by all of us. John chinena you are a wasted sperm. The pf/mmd alliance qualifies hh to take over power. How can one choose the failed project? Let them come together so that they are packed together in the political dust bin. Vote the chosen one testified by local and international prophets hh. God is with hh this year. Forward with God’s choice hh. Cursed be the unholy alliance of mmd and pf.